Stilnovo specializes in creating a timeless, understated quality into their products that will enhance the lives of all those who purchase them. A wide range of stylish modern modern minimalistic pieces available for the living spaces of your home and establishments. From truly creative lighting solutions, clocks and storage solutions as accent pieces, to bar stools, lounge chairs, sofas daybeds and dining chairs for seating solutions, Stilnovo provides modern designs that are affordable for everyone. We welcome you to explore our Stilnovo Collection! 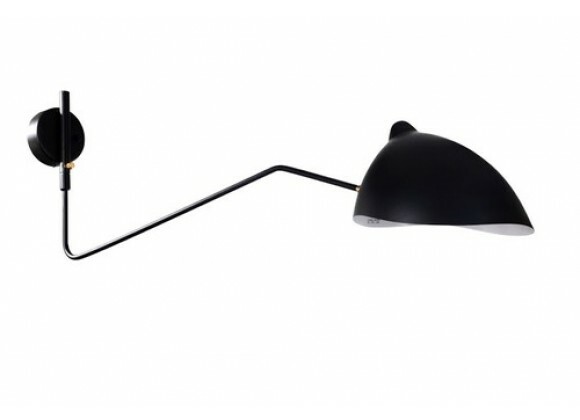 The Koge Wall Lamp is a Mid Century design, made from a carbonized steel construction. You can move the lamp side to side.